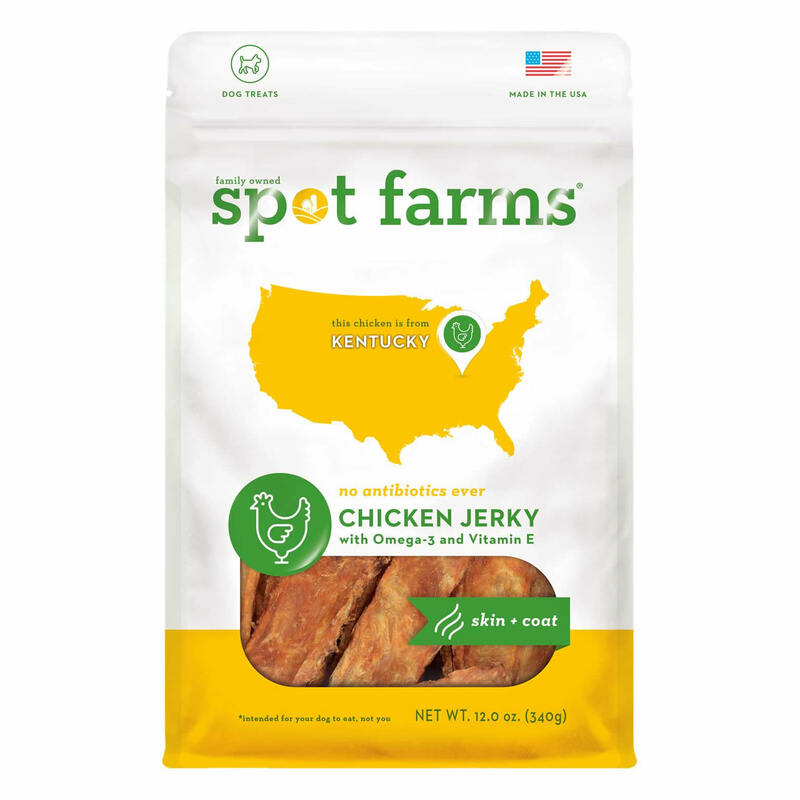 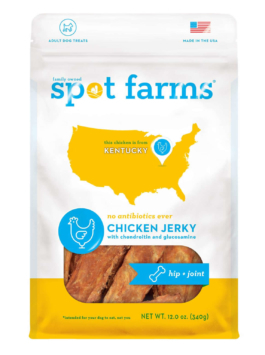 Spot Farms’ functional line of all-natural chicken jerkies helps to promote your dog’s health and happiness, all while maintaining the delicious flavor your dog loves. 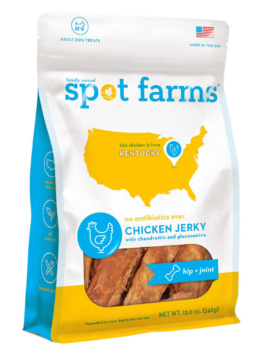 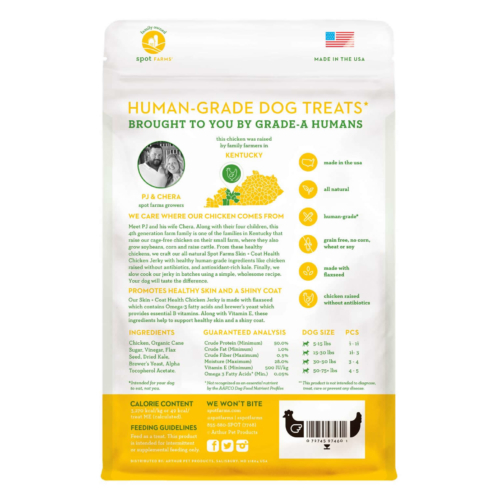 Our Chicken Jerky Skin + Coat recipe is made with Omega-3 rich flaxseed acids, and brewer’s yeast which contains Vitamin B. 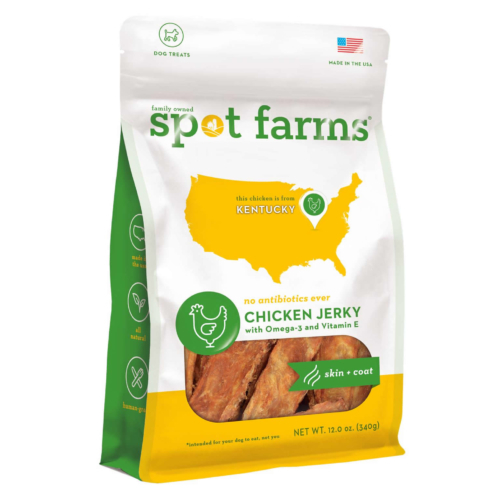 Along with Vitamin E, these ingredients help to support healthy skin and a shiny coat. 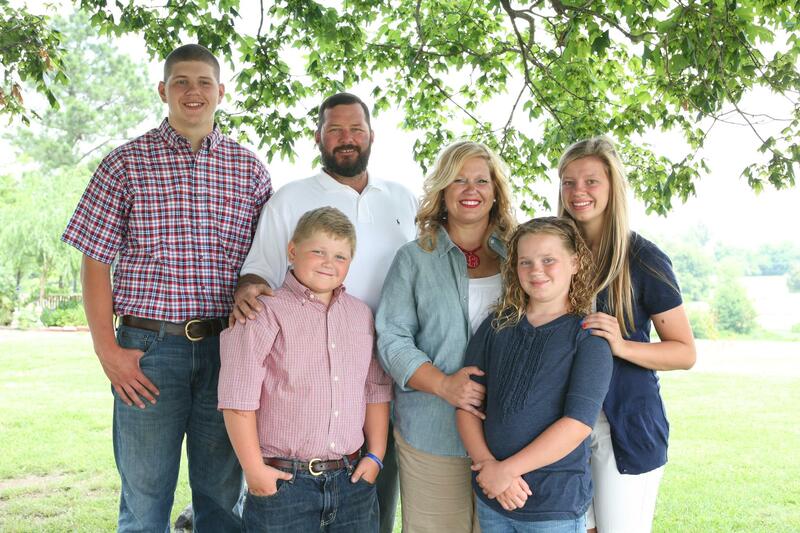 Meet PJ and Chera. This hardworking family of six is one of several farm families in Kentucky that raise our antibiotic-free chicken on their small farm.